michael ann made. 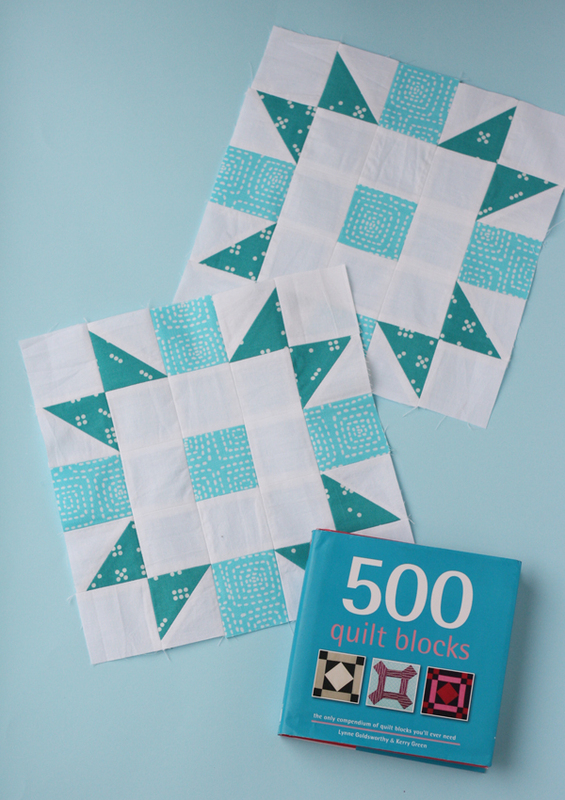 : 500 Quilt Blocks! and today I wanted to share one of my Christmas treasures that will help me do that. I think the best part about being a grown up is that you can buy yourself Christmas presents! 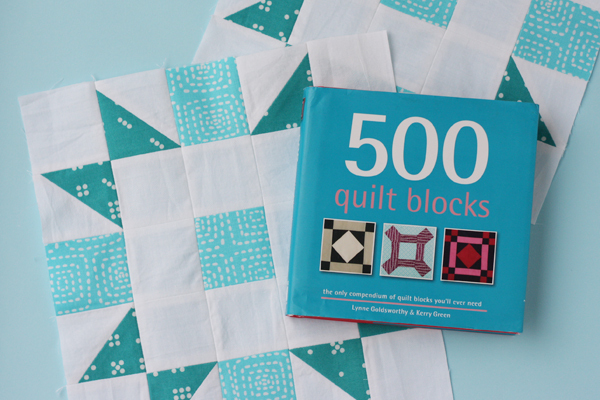 I saw this book one day at Powells and new I just had to have it - 500 Quilt Blocks . Too bad I had to wait until Christmas day to unwrap it! 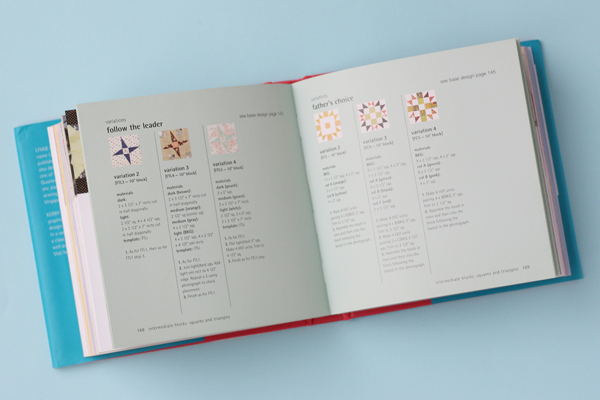 and is going to be such a fantastic reference for my quilting library! 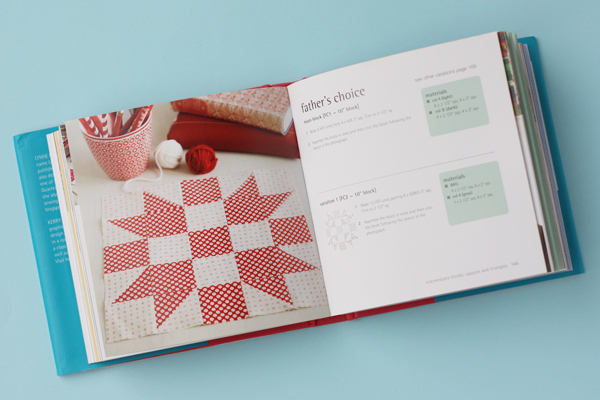 It is set up with chapters organized by difficulty and style that highlight different quilt blocks. Then they show a handful of variations on each block. I loved that the blocks they chose and all their variations have a very modern feel. for all the blocks in the book and is very clear and helpful. using one of the variations they gave for it. and love how cheery and a bit wintry they look together. So fresh for a brand new year! Looks like I'll have to start thinking up ways to use them all! Did you get yourself any crafty gifts over the holidays? I'll have to share the rest of my crafty presents soon! 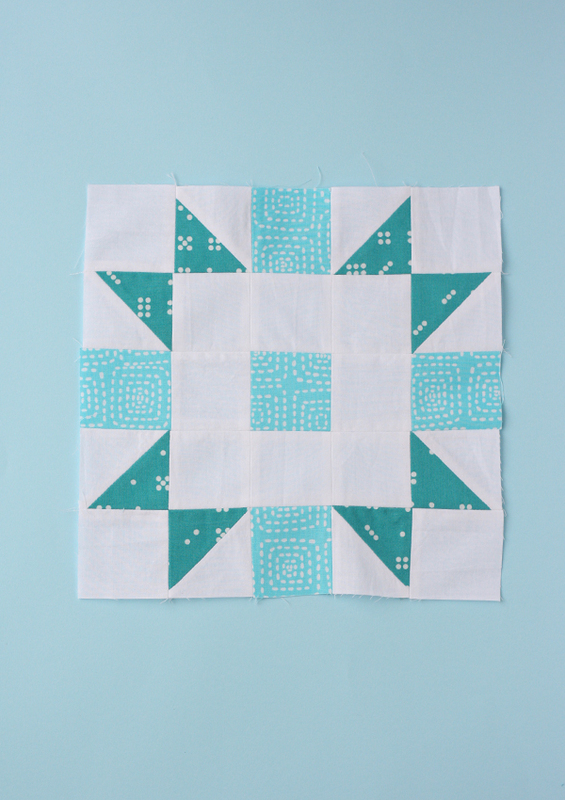 I can't wait to see you conquer quilting...I'm sure you'll have no trouble! Happy New Year! 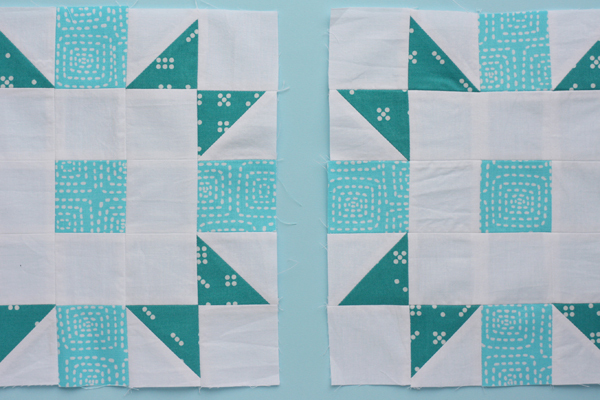 Do all the blocks finish up the same size? 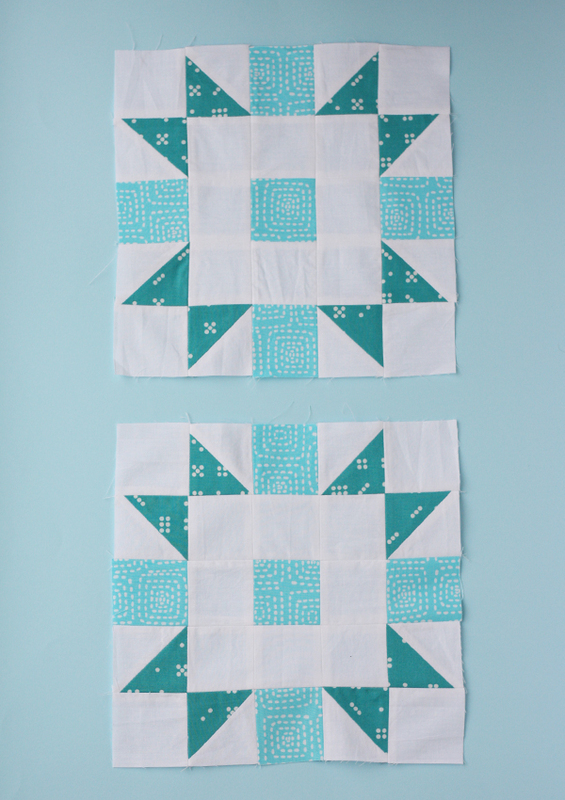 I love your block and want to make a sampler quilt, but for simplicity/ease for me, I need the patterns to already be the finished size I want. I am new and haven't tried to change up sizes.